MV Agusta has officially entered India with MotoRoyale, which is part of the Kinetic Engineering. The company will start with the Brutale and F4 range of directly imported four-cylinder motorcycles. But also on sale is the delectable F3 800, which is assembled by MotoRoyale from SKD kits allowing prices to start at Rs 16.78 lakh (ex-showroom Pune). 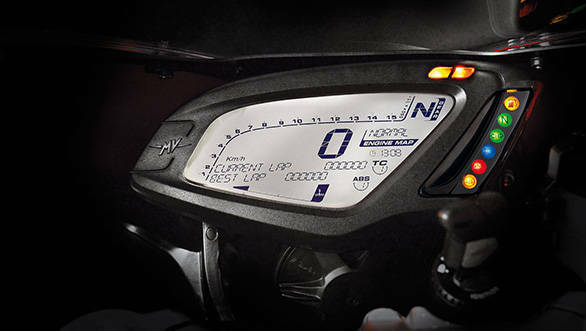 Let's take a deeper look at the MV F3 800, shall we? 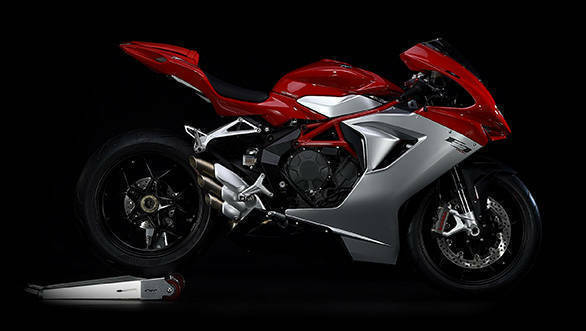 The MV Agusta F3 800 clearly borrows styling elements liberally from the F4 series. But when you look closer, you can see that the bodywork and details have moved on from Tamburini's iconic original design. The familiar resemblance is super strong though, and you won't mistake the F3 for anything other than an MV. 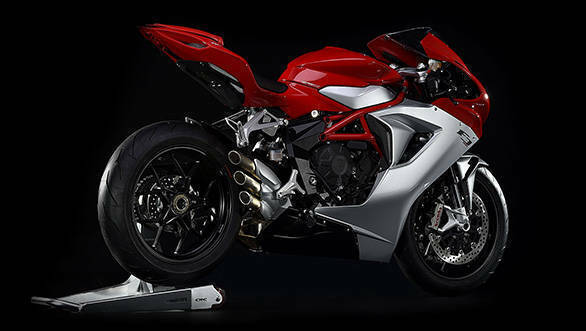 MV Agusta says the idea was to create a motorcycle with 1,000cc performance with the blend of a 600cc supersport easy, connected and precise feel. The F3's 798cc 12 valve three cylinder engine is special. MV created it off the base of the older 675cc engine. The new engine keeps the 79mm bore and increases the stroke to 54.3mm. This is tuned to produce 148PS (!) at 13,000rpm and 88Nm at 10,600rpm. These are phenomenal numbers. The engine is fed and scavenged through double overhead camshafts and a quartet of titanium valves. MV also updated the injectors. MV claims the engine is one of the lightest in its class - just 52kg while also being super compact. It achieves this low weight with numerous ideas, including a crankcase casting that includes the bores, water jacket and even space for water pumps. MV also uses a counter-rotating crankshaft like the Motogp bikes do to cut inertia so that direction changes come fast and without delay. The basic frame of the MV Agusta F3 800 uses a trellis frame that mounts to a cast pivot plate. A bolt-on rear subframe completes the picture. Marzocchi supplies the front 43mm upside down telescopic suspension and it is fully adjustable - that's preload, compression and rebound damping. The Sachs rear monoshock is also fully adjustable. Brembo's 320mm rotors and M3.43a Monobloc calipers do the stopping, while Bosch's 9 Plus Race Mode ABS with rear lift mitigation handles braking. Tyres are 120/70-ZR17 and 180/45-ZR17. The bike comes with the excellent Pirelli Diablo Rosso Corsa tyres. This is a top-flight specification that promises agility and performance. How agile will the F3 be? The wheelbase, for instance, is just 1,383mm! As we've come to realise with testing, the fastest, sharpest machines work best with an electronic safety net for most levels of skills in most riding environments. The F3 800 gets the latest version of the MVICS (Motor & Vehicle Integrated Control System), the company's suite of electronics. The F3 800 uses a ride-by-wire system that controls the throttle using a trip of maps as well as a customisable fourth map. 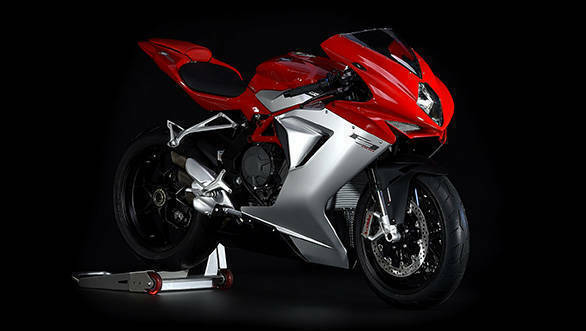 The MV Agusta F3 800 is priced well considering its exotic brand, Italian feistiness and top specification. It should offer an interesting, intense option to sportsbike enthusiasts. We cannot wait to test it!